Hey there lovelies! 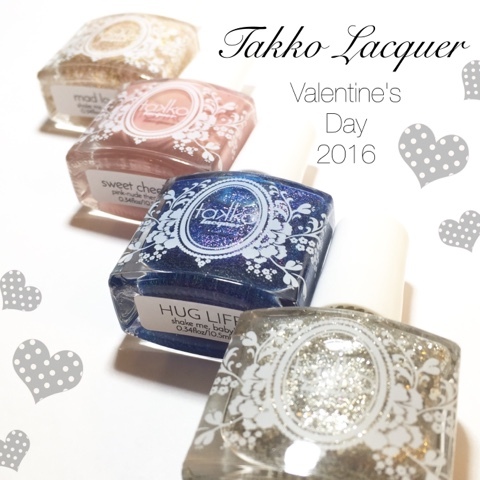 So today I have one last swatch of the new Valentine's Day Takkos! 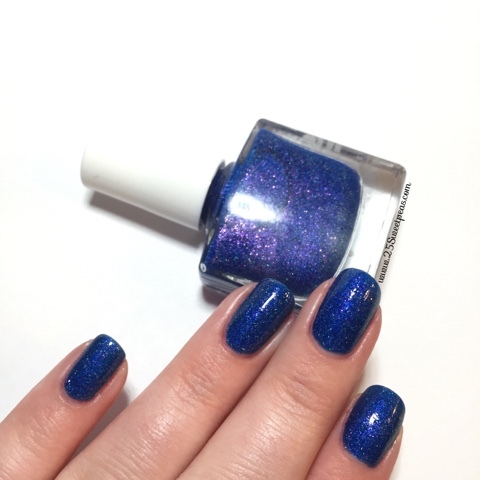 So let's get on to picture because I am in love with this new polish! 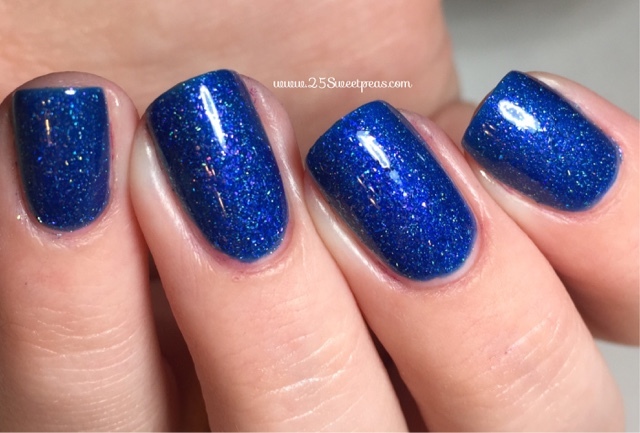 This is 2 coats of Hug Life and it's beautiful! 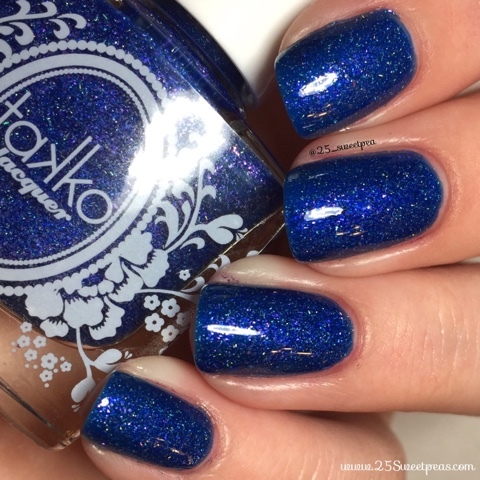 I tend to have a thing for blue polishes and this one is way up there now because it is just so pretty! 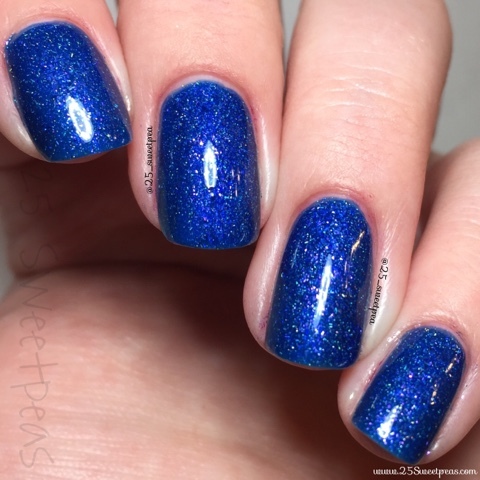 The formula was nice and easy to work with. . It has a lovely pink/purple sparkle to it which makes it different from most. Sadly that part is really hard to capture on camera. 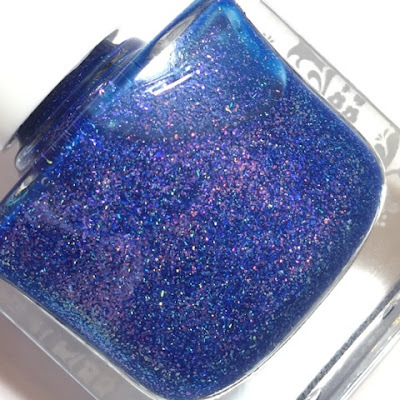 Here is a bottle picture that kind of captures the sparkle colors but really in person is the best way to see it. This is one of those polishes that is just too pretty to put art on top of actually. You just want to enjoy it alone. Now here is the full art picture for ya! 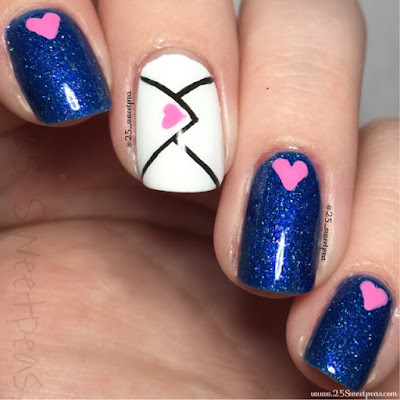 Its a super easy look and perfect for Valentines day! Also the IG version of this will be up tonight and the song that goes with it is just super fun so check that out tonight!